From boosting brain function to increasing energy levels, the health benefits of drinking water are plentiful. Not to mention, is there anything more satisfying than savoring an ice-cold glass of H2O when you’re particularly thirsty? Still, throughout your busy daily routine, you may forget to drink an adequate amount of water. So, what does this mean in terms of your health? It goes without saying that no one likes a headache. But this nagging pain is one of the telltale signs of dehydration. When you don’t have enough water in you, your brain reacts in a "hurtful" way — essentially, a dehydration headache is caused by the brain pulling away from the skull. Ouch! You may have experienced the unpleasant feeling of dry mouth before, with symptoms like extreme thirst, thick saliva, sore throat, and stickiness in the mouth. These sensations can occur when you don’t have enough fluids in your body to produce saliva, so make sure to keep the water flowing. Fatigue may hit you from time to time (especially after a busy week), but did you know that about 1 in every 10 cases can be attributed to dehydration? When you’re dehydrated, a lack of blood to your skin causes an increase in internal heat — which can cause you to experience that super tired feeling. Have you ever felt a little light-headed after standing up too quickly? When your body’s lacking the water it needs, it can lead to a fainting spell. Without enough fluids, your body has to work extra hard to stabilize low blood pressure — but taking in the right amount of water can prevent this. It goes without saying that any struggle to breathe, along with a rapid heartbeat, is distressing. Staying hydrated throughout the day helps to make sure that your body doesn’t have to fight to provide cells with necessary energy. Characterized by abnormal speech, forgetfulness, and sudden changes in emotion, confusion is certainly a scary symptom. This can occur when your body loses essential electrolytes that keeps you functioning properly. Particularly after a workout or day in the sun, drinking water to replace what was lost will be your number one aid. The exact amount of water we need to drink in a day varies by person and situation, but generally speaking, about 3 quarts (which includes water in food) should be consumed. The best way to stay on top of your water intake is to let your thirst be your guide. Toting a reusable water bottle can be a great way to remind yourself to drink more water. if you’re a regular coffee drinker, you’re in luck. While this beverage has a diuretic effect when consumed in high quantities, a cup or two a day provides similar hydrating qualities that water does — so you can continue to enjoy your daily caffeine fix! When you don’t replenish the water that you lose, you put yourself at risk for an unpleasant experience and real health risks. 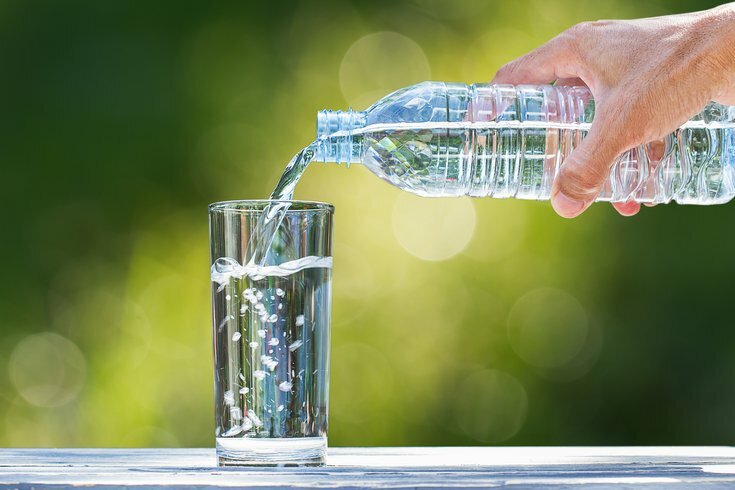 But staying aware of common signs and symptoms, and taking an active approach to water consumption, are two ways to stay on the right track to giving your body the fuel it needs to keep going strong.